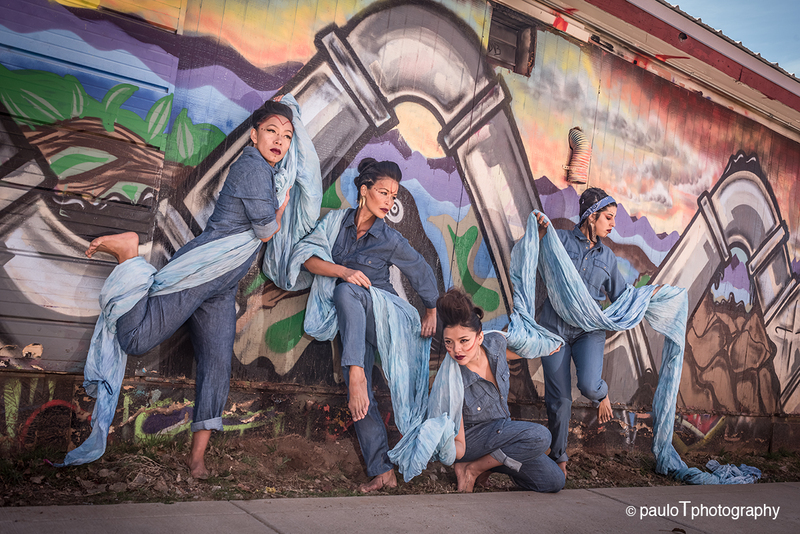 Anne Pesata, Rulan Tangen, Natalie Beally and Lupita Salazar at Santa Fe Art Institute, in rehearsal for “Running for Water, Running for Land.” Image: © Paulo T. Photography. Courtesy the artist. ABOG Fellow Rulan Tangen will lead an immersive workshop on decolonization, with an emphasis on restorative movement and multi-sensory practices. Tangen will also present on the history of Indigenous artists working towards environmental justice, especially in conjunction with the recent Standing Rock protests. This program includes a movement-based workshop, with all ages and skill sets welcome. If you wish to participate please wear comfortable clothing. Rulan Tangen is an internationally accomplished dance artist, choreographer, and director with over three decades of experience in multiple movement genres. She is the Founding Artistic Director and Choreographer of DANCING EARTH, noted in Dance Magazine as “One of the Top 25 To Watch,” and winner of the National Dance Project Production and Touring Grant, as well as the National Museum of American Indian’s Expressive Arts award. She is a recipient of the Costo Medal for Education, Research and Service by UC Riverside’s Chair of Native Affairs, and an honoree of the Native Arts and Cultures Foundation for their first dance Fellowship for Artistic Innovation. As a performer and choreographer, she has worked in ballet, modern dance, circus, TV, film, theater, opera and Native contemporary productions in the USA, Canada, France, Norway, Mexico, Brazil and Argentina. 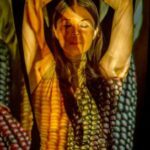 Her ABOG Fellowship supported Dancing Earth’s seeds : ReGeneration, which convened a series of community collaborative visioning sessions and interdisciplinary movement workshops to center Indigenous artistic and ecological knowledge, and culminated in a transformative performance ritual in the fall harvest season of 2016. Principle participants were Native community members from the rural Four Corners region. seeds : ReGeneration built upon a four-year consultation process with Native leaders and direct involvement of community members, leading towards collaborative dance rituals respondent to community concerns through the embodiment of Native worldviews. Artist portrait © Daniel Quat Photography for Dancing Earth.